The Cimarron Starlite Cruisers Car Club proudly features, great classic vehicles which belong to the good folks of Oklahoma on this page. Indian Nations Pontiac Member John Grisham III and his family built and own this months Great Oklahoma Classic, a 1966 Pontiac GTO. In 1986 while on a business trip, John’s wife Charlotte bought this basket case of a GTO and a parts car for $500. When John returned home it was waiting in the driveway. This started a twenty-two year journey that ends with this Great Oklahoma Classic being brought back to life. John and family, have been working on this classic Pontiac since that fateful day O’ so long ago. The GTO now sets on four B F Goodrich P24560R15 TA Radial tires that are mounted on very nice looking Center Line Chrome Wheels. 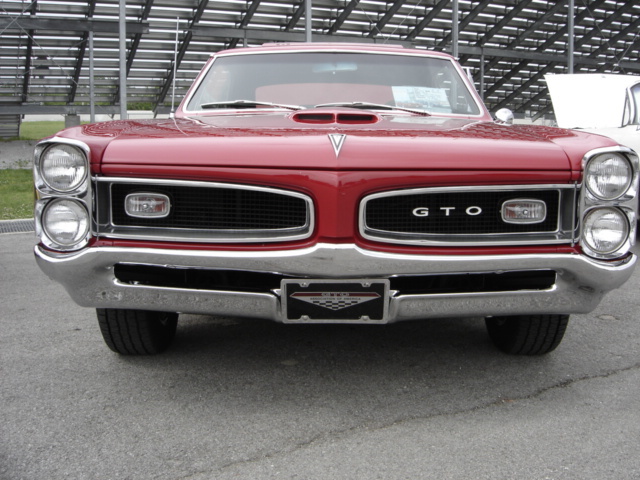 The great RED paint job with the fine black pin striping truly gives the GTO a classic look of beauty. 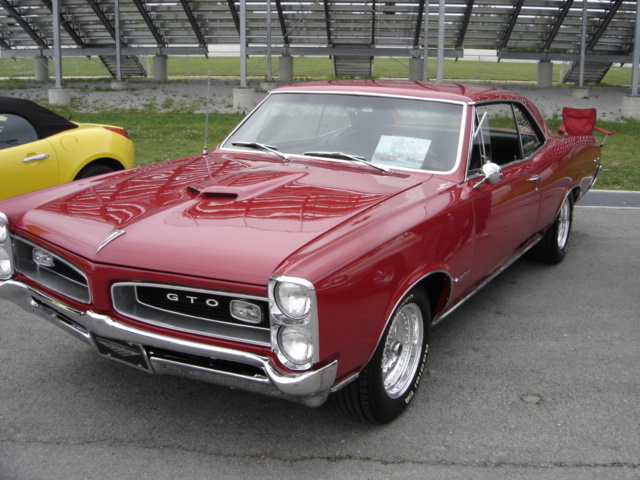 Only real Pontiac lovers can spend twenty-two years in a love affair which results in a great classic GTO like the Grisham’s. 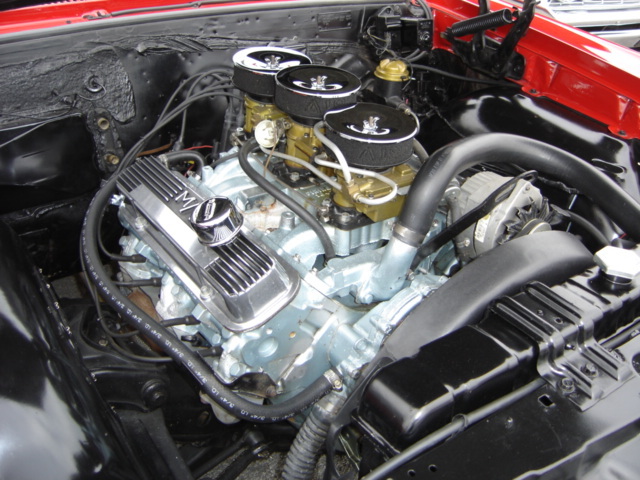 A Pontiac 400 V8 with Tri-Power carbs powers the GTO. 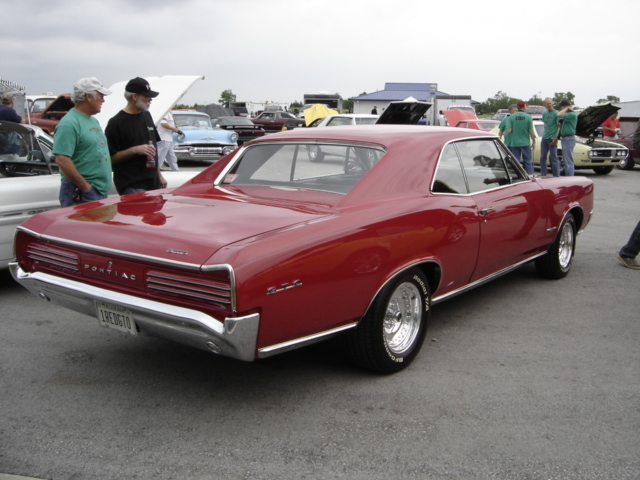 Just recently John III and John IV replaced the GTO’s original four-speed transmission with a new Tremec five speed that makes the classic much easier to pass a gasoline station and slows the rpms at highway speeds. This was all done in their driveway while on jack stands. 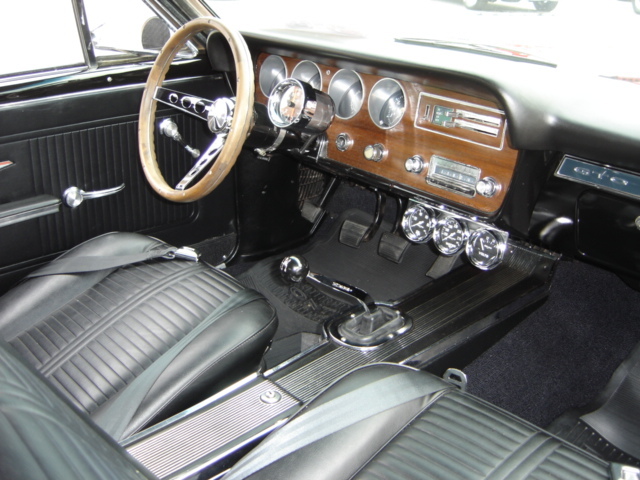 The interior of the GTO is classic black with the stock console and classic GTO wood grain dash and wood wrapped steering wheel. 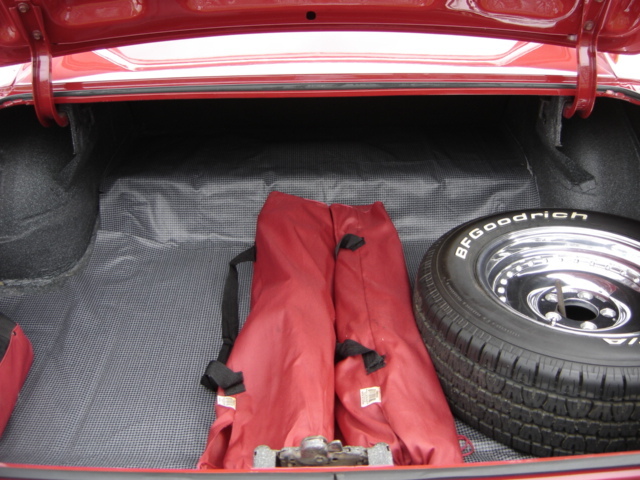 The interior kit was purchased from Ames and was installed by John. These interior kits really look good but are a lot of work if you are learning about the instillation while doing the job! The Grisham’s have added several engine monitoring gages to help with checking how the GTO’s 400 V8 is doing at any point in time. The exhaust system is a Ram Air 3 system by FlowMaster that includes manifolds, three-inch exhaust pipes and mufflers. Before the installation of the exhaust system John spent many hours on his back cleaning and painting the entire underside of this classic Pontiac. 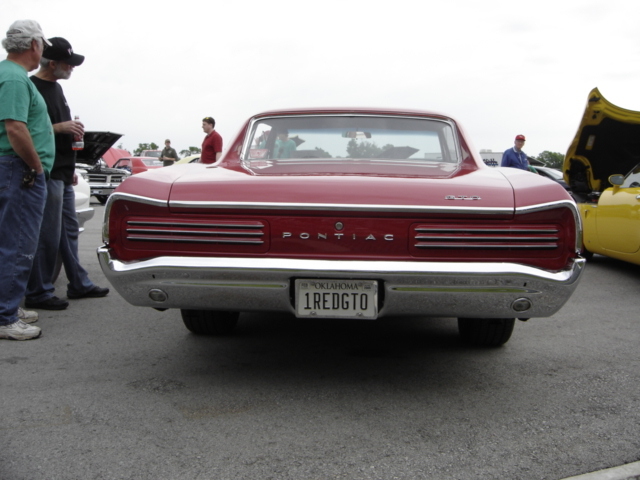 To complete the GTO’s restoration the trunk area has been brought back to new condition with another personal touch being added, the license plate. A project like this creates an excellent situation for birthday, anniversary, Christmas, Father’s Day and any other 'day' gifts for a number of years. Charlotte has kept the car gifts coming along with continued encouragement for a long, long time. Again, this makes the GTO of the Grisham’s a real family affair. The Cimarron Starlite Cruisers Car Club sincerely thank John Grisham and his family for allowing us to feature the Grisham’s Little GTO as this month's Great Oklahoma Classic. This is just one of many classics built and owned by members of the Indian Nations Pontiac Club of OKLAHOMA!